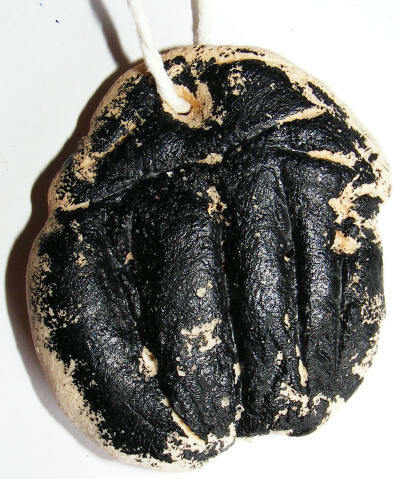 Look at some examples of Egyptian amulets. 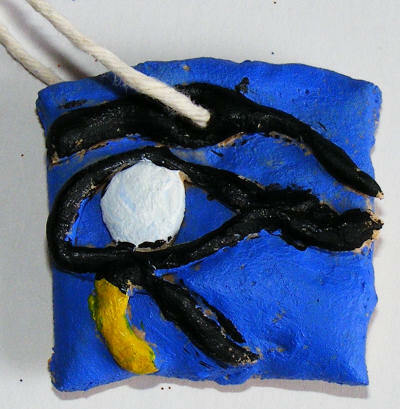 Popular designs are scarab beetles, ankh and Udjat eyes (also known as the eye of of Horus). Shape the salt dough to make your amulet. Make a hole in the top. Carefully transfer to a baking sheet and bake at 160˚F (70˚C) for about 2 hours. 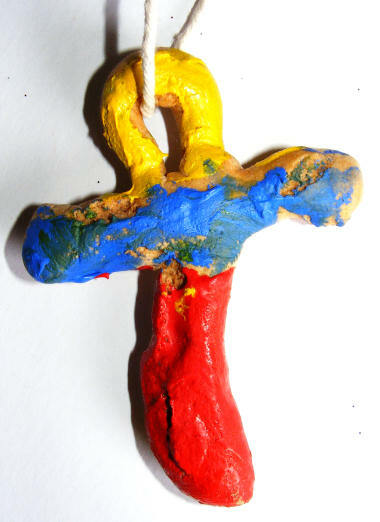 When the amulets are cool paint them in bright colours. Leave to dry. To finish paint on a coat of varnish (optional). Thread on to string to wear.